OTTAWA, Oct. 30, 2018 – Canada is home to one of the world’s great wildlife spectacles – the migration of hundreds of thousands of caribou across thousands of kilometres of barren lands. Unless actions are taken now, Canada will fail those herds and the communities that depend on them. Experts from across North America are congregating in Ottawa this week for the North American Caribou Workshop (sponsored in part by World Wildlife Fund Canada) to discuss the plight of caribou. As the climate changes and interest in developing the North increases, WWF-Canada is calling on governments and industry to use all the tools at their disposal to protect this iconic species. WWF’s international Living Planet Report, released this week, documents a 60 per cent decline in wildlife around the world in just over 40 years as human demands on ecosystems exceed what nature can sustain. WWF-Canada’s Living Planet Report Canada documented widespread loss here at home, including an average decline of 28 per cent for at-risk wildlife. Barren-ground caribou have suffered stark declines, particularly the Bathurst herd, which has seen a 96 per cent decline since the 1990s. 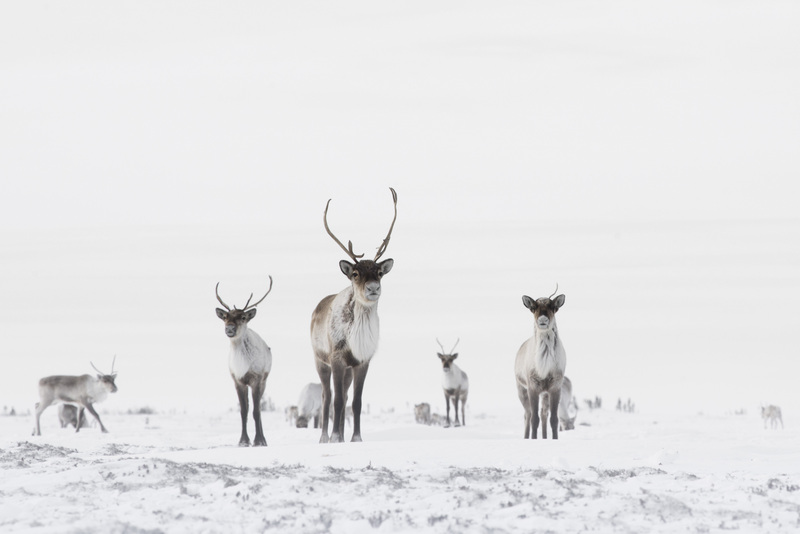 The federal government should act quickly to list barren-ground caribou as Threatened under the Species at Risk Act, as recommended by the Committee on the Status of Endangered Wildlife in Canada in November of 2016. Canada can prioritize the long-term survival of barren-ground caribou through the long-awaited Nunavut Land Use Plan (the process will kickstart again in early 2019 after years of delays), by supporting protections of critical habitats such as calving and post-calving grounds, freshwater and sea-ice crossings, and key access corridors. “History has shown us that official designation and action under the Species at Risk Act can be agonizingly slow for wildlife populations on the edge. But it’s not the only tool at our disposal. We can protect these caribou now through the Nunavut Land Use Plan and the creation of Indigenous Protected and Conserved Areas in areas with community support. “More than anything else, caribou in Canada’s North need undisturbed habitat. They need protected calving grounds, post-calving grounds, unfettered freshwater and sea-ice crossings and access corridors. We need to put a moratorium on mineral exploration and development in areas critical to their survival – and research shows that this can be done without unduly limiting economic opportunities for Northern communities. WWF-Canada creates solutions to the environmental challenges that matter most for Canadians. We work in places that are unique and ecologically important, so that nature, wildlife and people thrive together. Because we are all wildlife. For more information, visit wwf.ca. Photos, video b-roll, a barren-ground caribou population distribution map, mineral potential/caribou habitat maps available for coverage. Files can be found here.